Rochambeau will bring croissants, coq a vin, and cocktails to the Back Bay. By Jacqueline Cain·	 2/13/2019, 4:50 p.m.
After the Lyons Group quietly shuttered its formerly loud, boisterous, multi-bar venue Towne Stove and Spirits early this year, owner Patrick Lyons promised something new—something more in line with today’s dining scene. Now, we have a few more details: Called Rochambeau, the new venue is appealing to our appetite for classic French cuisine, as well as for casual, comfortable, all-day dining. 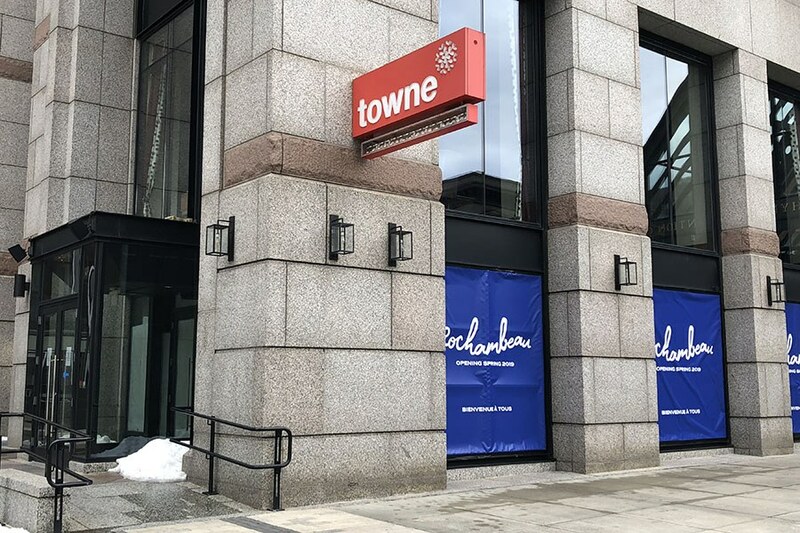 Rochambeau—which introduced itself to the Back Bay in time for the latest Boylston Street Victory Parade—will divide the huge, former Towne space into two distinct concepts with their own entrances, Lyons Group operations director Leo Fonesca shares. The main restaurant will be a vibrant French-inspired brasserie, while a Boylston Street-facing café will serve breakfast, lunch, and afternoon snacks, including house-made croissants and café au lait. Many Towne alumni are involved in the new project, but the Lyons Group is in the midst of hiring a new chef to spearhead the brasserie menu. (No announcement on who that is just yet, but stay tuned.) Along with requisite dishes like coq au vin and steak frites on the dinner menu, Rochambeau will have a “delightful” cocktail program complete with “beautiful” glassware, and a lounge area. New York firm Home Studios is leading the renovation, and is currently filling the space with copper, wrought iron, and Metro-esque tiles. Hues of blue awash both the café and brasserie, while the main restaurant will have some complementary pops of pink tiles and tin ceilings. Greenery will be used to divide the large dining area into more intimate spaces, and a four-sided bar anchors the room. Rochambeau will also have a 65-seat, landscaped outdoor patio on Boylston Street. Hamilton: An American Musical fans—or, um, American history buffs—will recognize the brasserie’s name: Rochambeau was the French commander who shared guns and ships with the American colonists, helping them win the long-shot war of independence against the British. His name was also a well-studied code word used during the Alexander Hamilton-led (and -won) Battle of Yorktown. The Lyons Group acknowledges this inspiration, and also notes “Rochambeau” is what some children call the game Rock, Paper, Scissors. It’s also the latest place in Boston to serve and celebrate French culinary traditions; see also: the year-old Explorateur, a cafe and “Cali-Continental” brasserie on the Boston Common; and recent openings of the Westland (which has a broad, American menu and comfortable brasserie vibes) and Colette, your winsome new wine bistro in Cambridge. 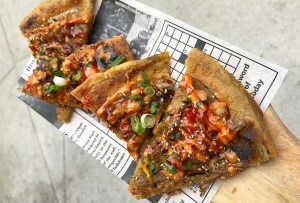 Rochambeau is on track to open in the Back Bay in May. 900 Boylston St., Boston, lyonsgroup.com.